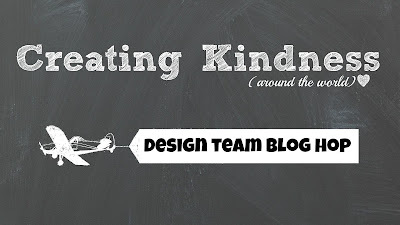 Today we are sharing Friendship & Support themed cards & projects for the November Creating Kindness Design Team Blog Hop. 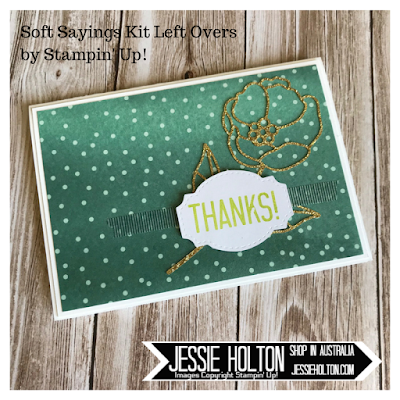 I thought I would show you a bunch of customer thank you cards I have made with the left overs from my Soft Sayings Kit. Many of my customers have become friends & I appreciate their support of my craft & my business. 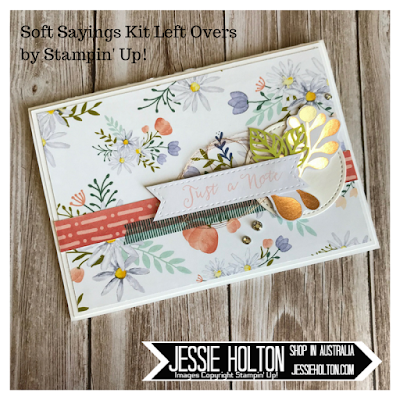 The spotty Tranquil Tide background & fussy cut flowers are from the Delightful Daisy Designer Series Paper (DSP). I have also used Shimmery White for the Stitched Shapes circle die cuts. On this card, I have also added Copper Foil & Copper Metallic Thread, Basic Rhinestones & some Merry Music DSP. 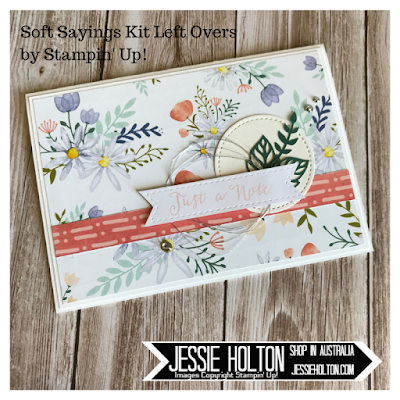 The Washi Tape, sentiment & stamp are from the Soft Sayings Kit. 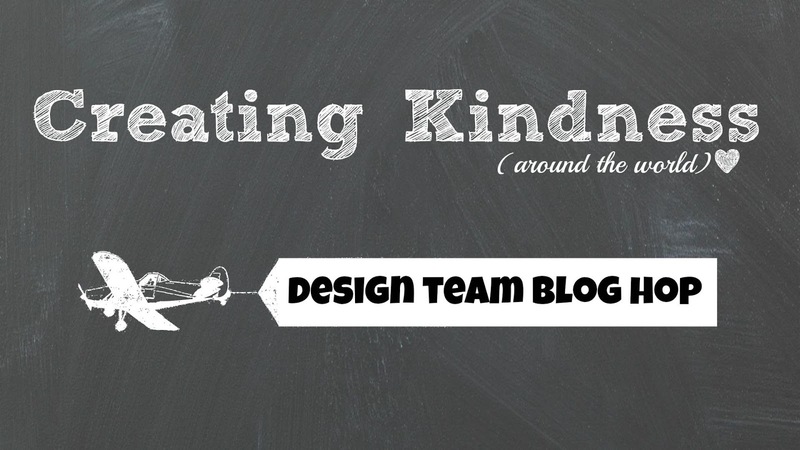 Inked with Basic Gray. For this card, I have added half a silver Foil Snowflake, Basic Rhinestones. 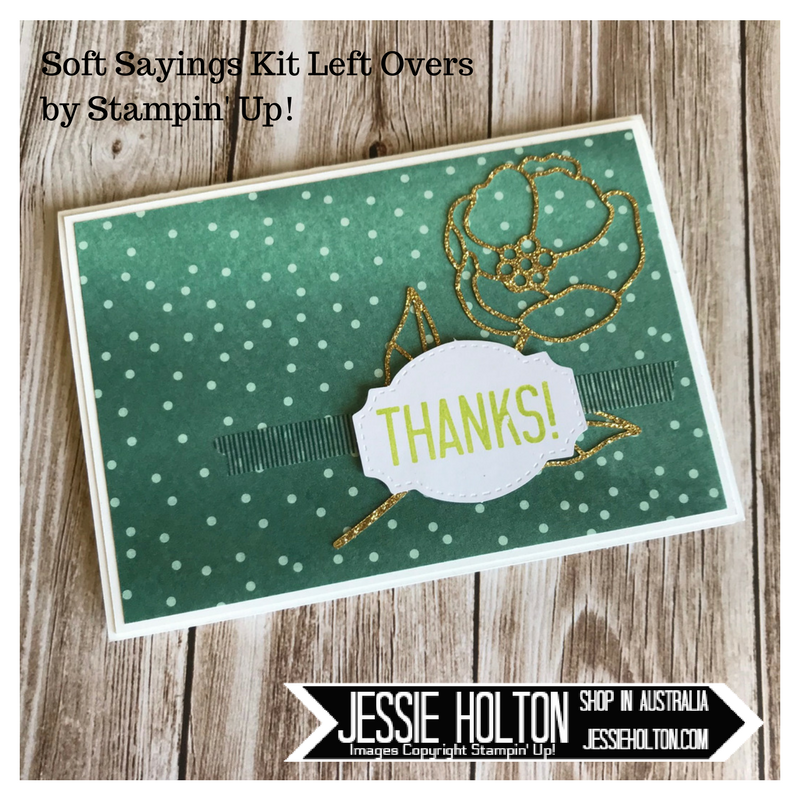 The sentiment die, stamp & die cut leaves are from the Soft Sayings Kit. Inked with Lemon Lime Twist. 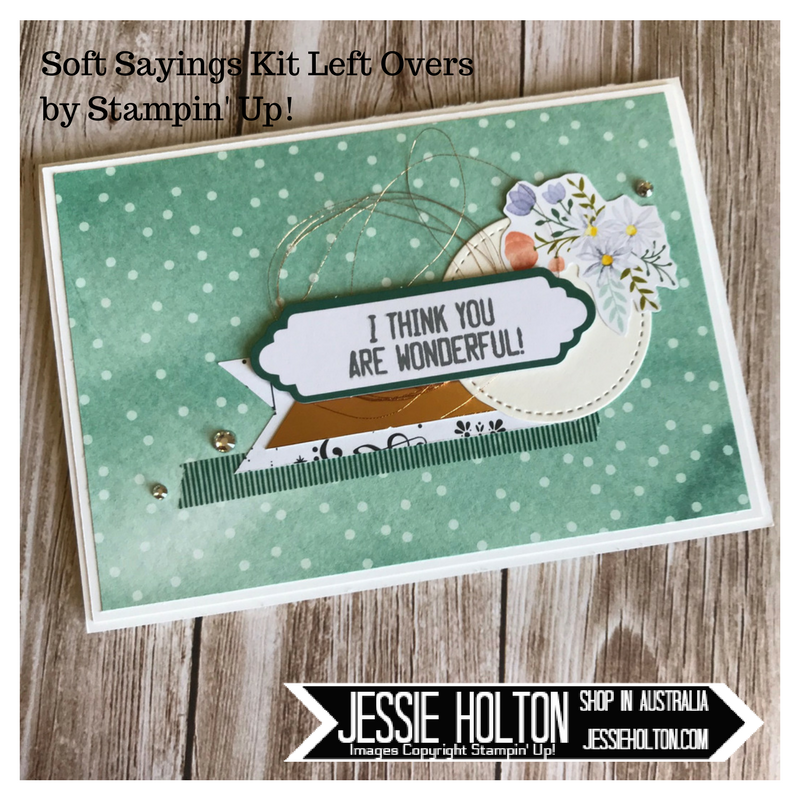 All of the elements on this card are from the Soft Sayings Kit, except the DSP background. Isn't the gold glimmer rose just beautiful! 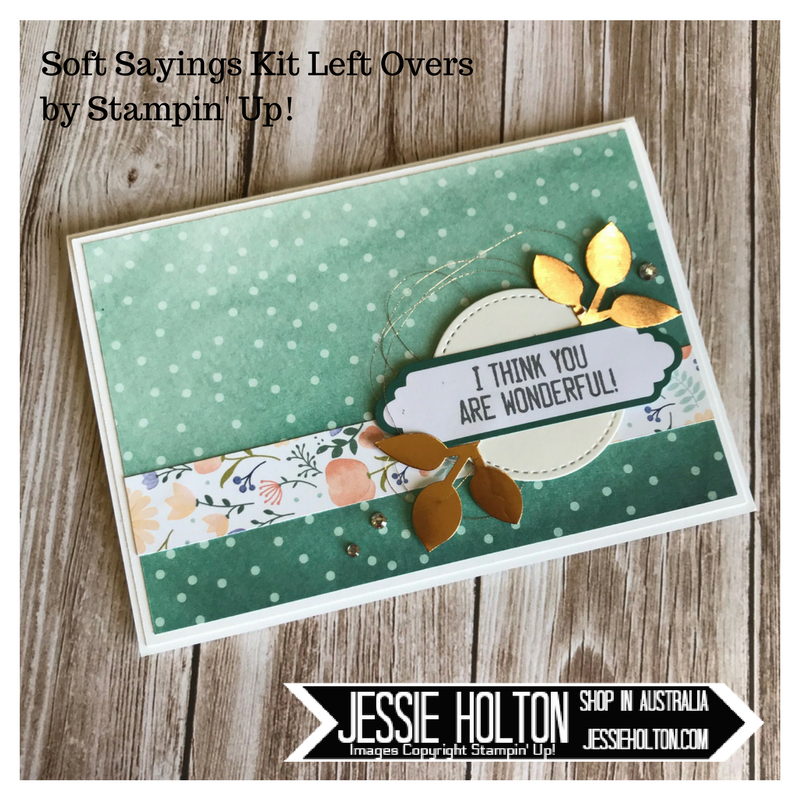 You get a whole sheet of gold glimmer die cuts that you just push out in the kit, they are so pretty! Inked with Lemon Lime Twist. For this card, I have added Delightful Daisy DSP background & strip, Copper Foil leaves cut with the Leaf Punch, Copper Metallic Thread, Basic Rhinestones & a Shimmery White circle cut with the Stitched Shapes framelits. 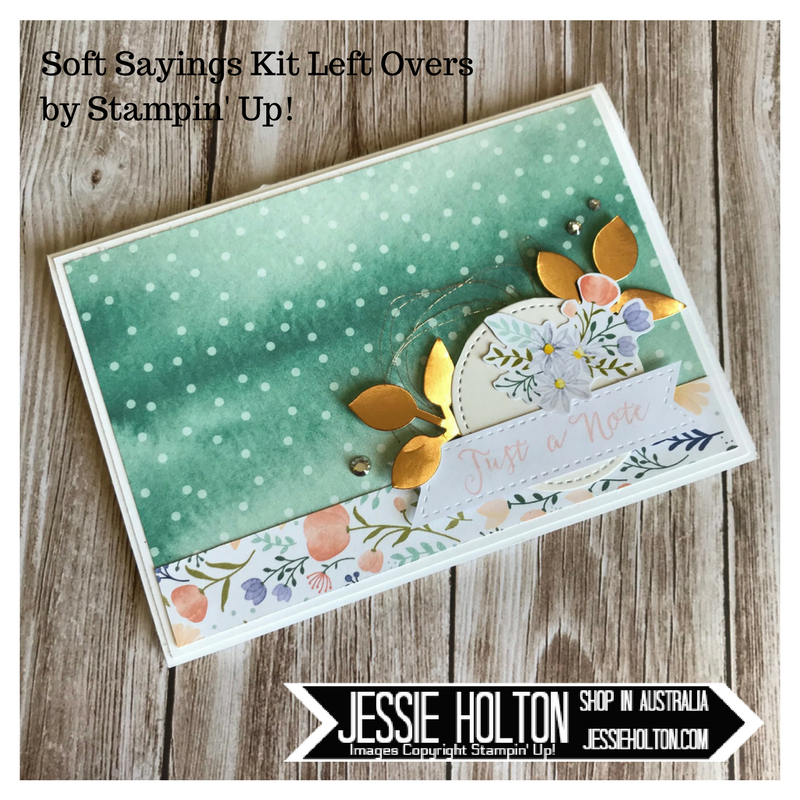 The sentiment die cut & stamp are from the Soft Sayings Kit. Inked with Basic Gray. This one is similar to the one above, just with a different die cut sentiment & stamp, although they are still from the Soft Sayings Kit. 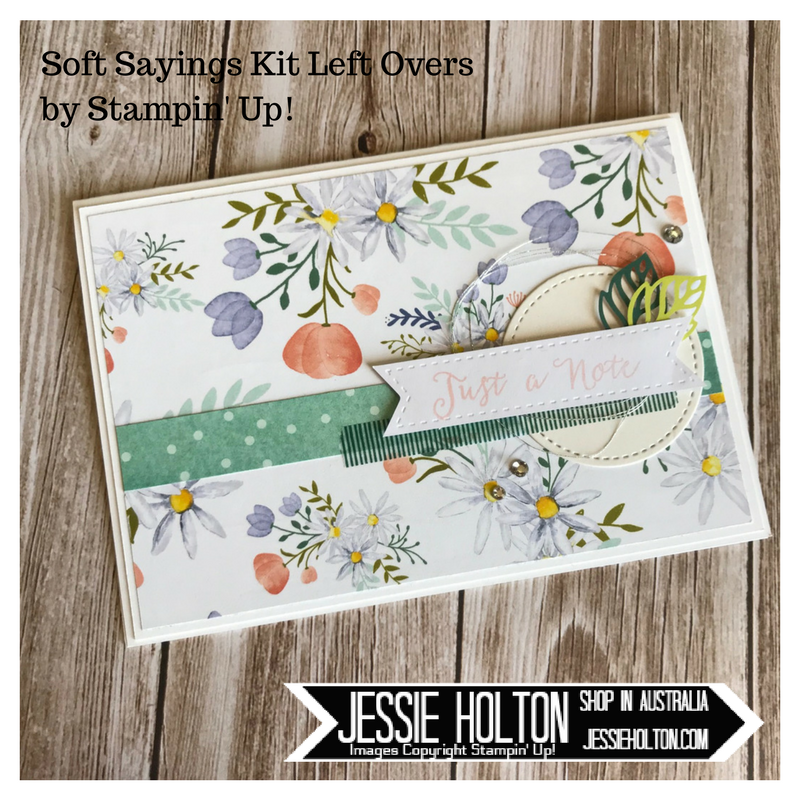 And I have also added some more fussy cut flowers from the Delightful Daisy DSP. Inked with Powder Pink. 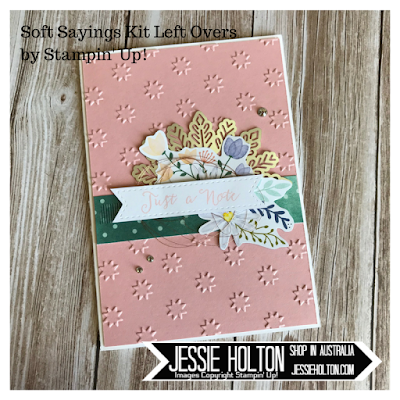 And a full floral background for this one, with some of the Calypso Coral print from the Delightful Daisy DSP - I think this paper is to die for! For this one I have added Basic Rhinestones, Silver Metallic Thread & a Stitched Shape Shimmery White circle. Plus the die cut leaves, sentiment die cut & stamp from the Soft Sayings Kit. Inked with Powder Pink. And this time with a strip of the Tranquil Tide instead, plus the Shimmery White Stitched Edge circle, Silver Metallic Thread & Basic Rhinestones. 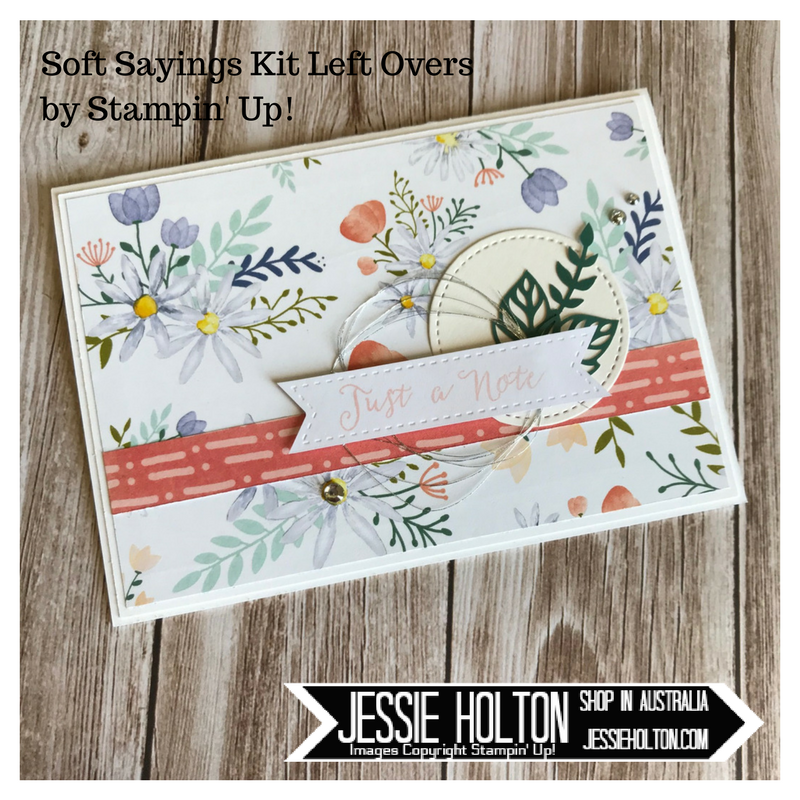 Then the washi tape, sentiment die cut, die cut leaves & stamp from the Soft Sayings Kit. Inked with Powder Pink. This one is similar to the one above, except I have added in a Copper & Champagne fussy cut twiggy from the Cheer to the Years DSP. Inked with Powder Pink. 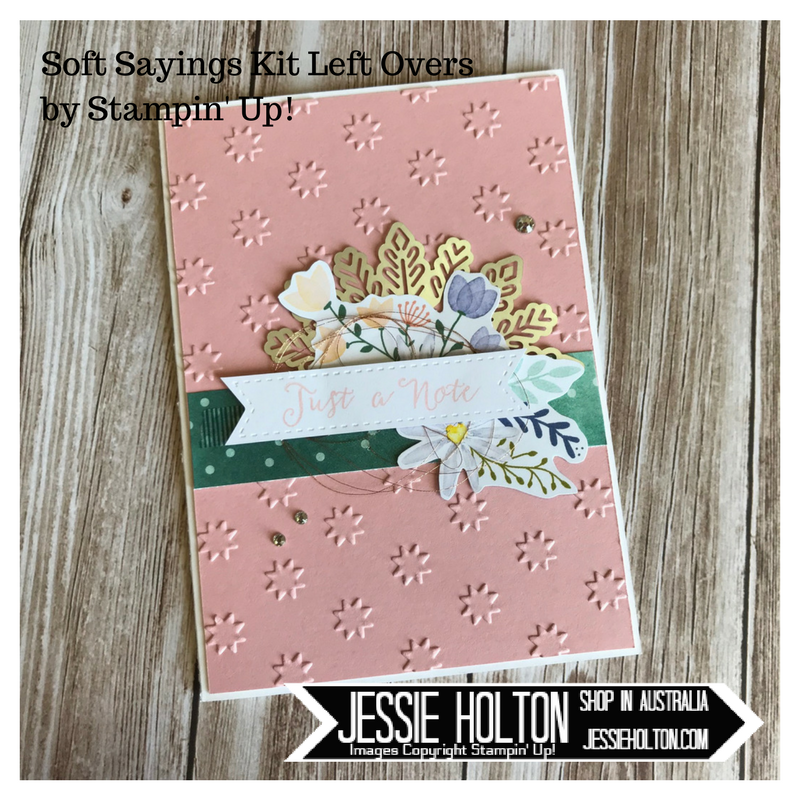 And finally, the background for this card is Blushing Bride cardstock with the Oh My Stars embossing folder. I have also added a gold Foil Snowflake & Gold Metallic Thread. Inked in Powder Pink. 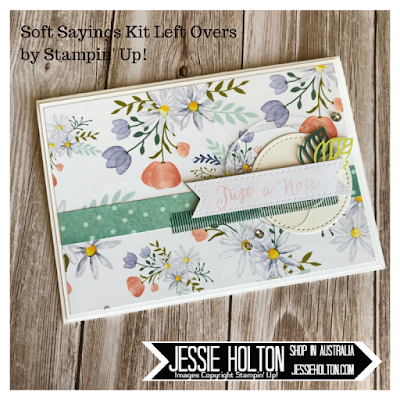 I have used the corner or edge flowers to create a little interest in the corners of the inside of each of the above cards. I hope you have enjoyed my cards! 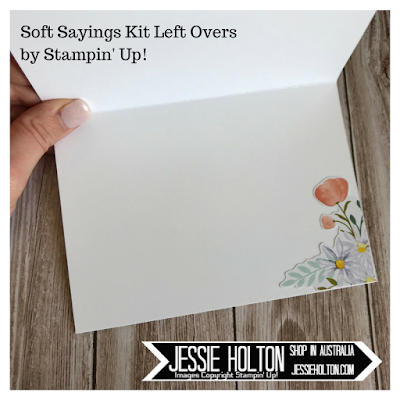 Check back tomorrow to see the cards I made from the Soft Sayings Kit. Jessie Holton - You are here!